I used to kind of dread going to our office' ladies' room to do or retouch my makeup, and for one simple reason - my daily makeup brush kit usually invites a lot of curious (sometimes, incredulous) stares and it makes me a little bit uneasy. Someone once hovered while I was touching up and she nitpicked on my brushes. "Whoa! That's waaay too many brushes; do you need all those?! Those little brushes all look the same!" Uhmm, yes I need all those, and nope, no two brushes here are the same, my dear. Hah, to think my daily office kit actually contains only a little over half of what I need for a full-on makeup! Excuse me, let me just whip out my brush roll for a minor touching up. LOL. Fears of being misjudged as overly vain aside (ha ha! ), I carry on with my brush roll and brushes. 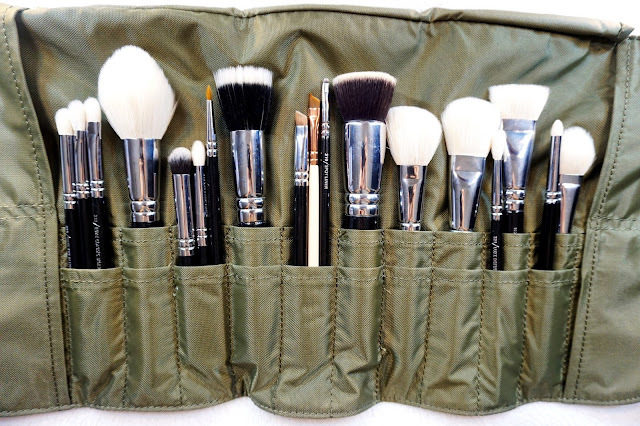 I do love AND need my makeup brushes. They are all necessary tools, and I liken them to my fairy godmother's magic wands, beautifying us ladies with every stroke, pat, and swirl. And today, let me share with you my current favorite brush brand, the superstar among the tools in my makeup arsenal -- ZOEVA! Zoeva is a German professional makeup and tools brand, with a company identity and tagline that I really like - "Color. Love. Makeup." 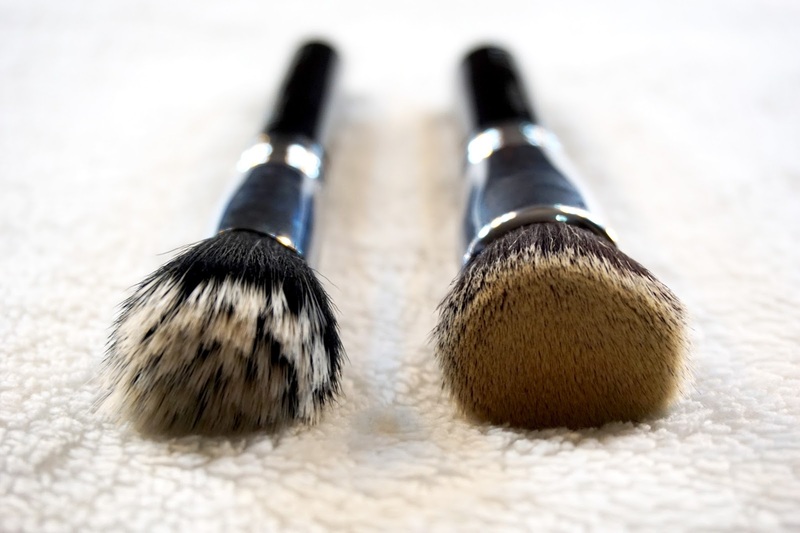 Their brushes do not aim to be a dupe of something that already has a loyal following, such as MAC. And rightfully so, for they are carving their own niche in the makeup industry. I find them passionate, dedicated to their vision, and sincere to their clientele in giving the best bang for our buck. This is one of those brushes my kit is never without. I use this brush every single day. I use it to apply foundation, to buff foundation applied by my fingers, to blend foundation or other base (like tinted moisturizer) applied any other way. 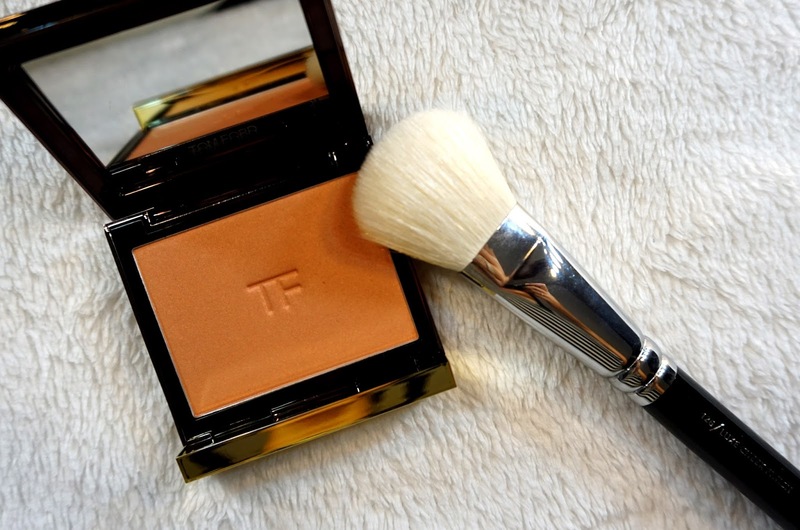 Foundation is fundamental in one's overall makeup, and I don't know where I'll be without this foundation brush. It paints a smooth, silky, and very well-blended canvas. No caking whatsoever. I can achieve a "no makeup makeup" or barely-there makeup even with a full coverage foundation, thanks to this brush. I know, it's magic! This brush' softness is unbelievable, considering it is made of vegan bristles. It is very dense, yet washes and dries fairly quickly. I highly recommend if you prefer using a brush to apply your base products. I have used two other stippling brushes and hated them. They were too prickly and hurt my face. You bet I waited with bated breath for this brush to be delivered, and used it right away to check if it is nearly as prickly. Thank heavens, it's not! I don't use this brush as often as my buffer brush (because, 104 is HG! ), but for a stippling brush, the 125 does deliver. I discovered it to be multi-purpose, too. It is not only good for stippling foundation, it applies and blends cream products like cream brush and cream illuminator like a dream! Now, this is one brush I am never applying my makeup without. 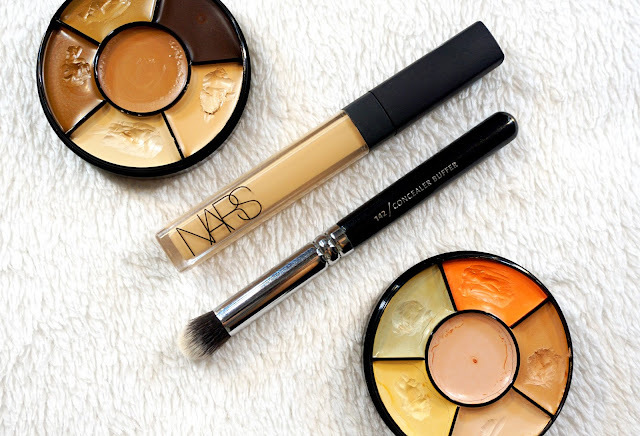 It picks just the right amount of product, not too much nor too little pigment. It is an angled blush brush, and I can vouch for its precision application if that's what you wanted. I just love the size and shape of this brush! I've read that some ladies use this for contouring. I would have used this for contouring too if I didn't have THE power contour brush from Zoeva (hint, hint! next brush!). And oh, it blends blush like a pro, too! Did I say this brush' bristles are soft? Too soft actually; I just love running it over my face! I highly recommend this if you are on the lookout for a good blush brush. Where have you been hiding all my heavier years, luxe face paint brush?! 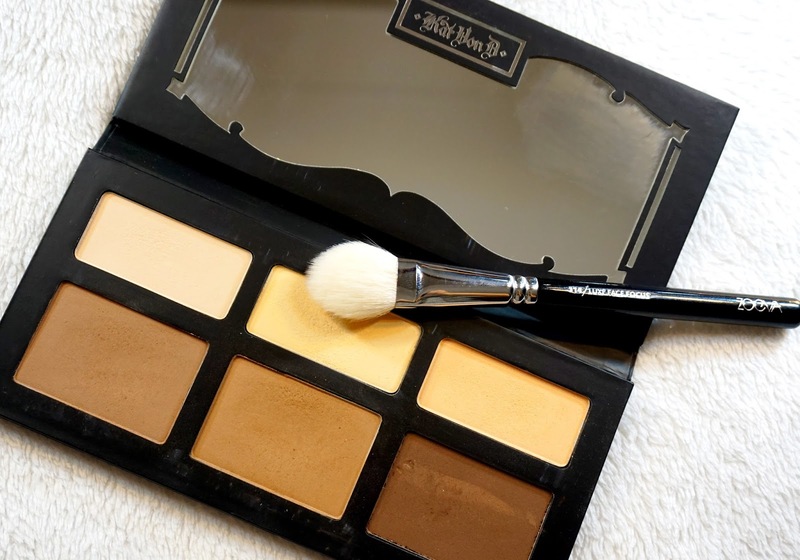 This is seriously one of my best makeup tools, ever. 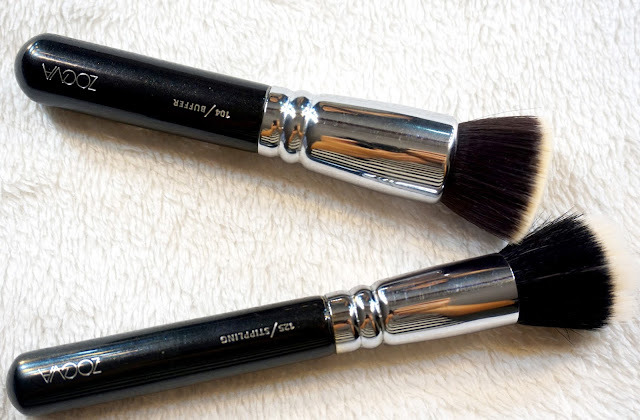 Contouring daily may sound like too much an effort, but this brush over here makes it possible. I just gently swipe and tap from near the top of my ear, down to my cheekbones, blend a little using the other side of the brush, and voila, my face looks like I lost 8 lbs in an instant! It picks up just the right amount of pigment and applies smoothly, never streaky. It is adequately-sized; neither too small nor too big. And as usual, Zoeva does not disappoint when it comes to the bristles' softness. 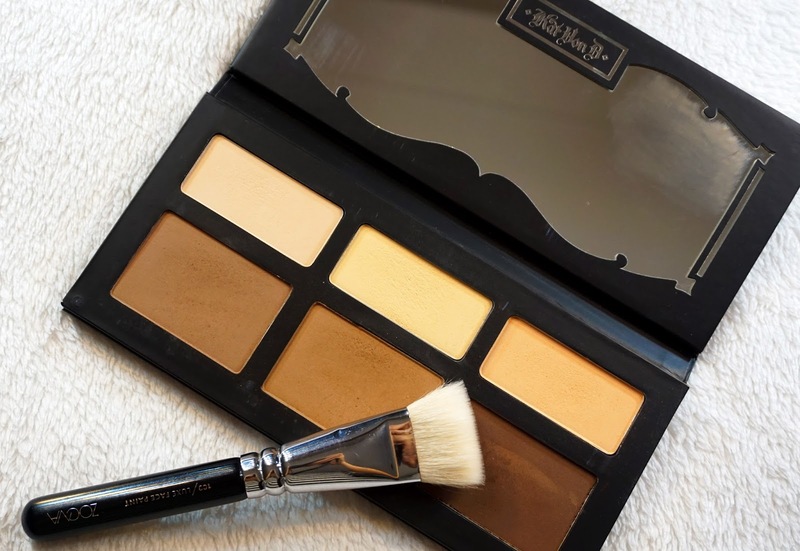 This brush can achieve everything from a sharp and chiseled face to barely-there soft contour. Of course, just make sure you blend blend blend as you wouldn't want to look like a zebra with two stripes, would you? :) Overall, I highly recommend this brush if you are a contouring enthusiast like I am. It does two things: apply highlighter and set my under eyes with powder. Oh, I've also used it a few times to line my nose, though I admit I have to master that trick with this brush yet. It's not as soft as, say the two blush brushes I reviewed above, but it's not that scratchy either. If you can't seem to find a brush for your under eyes, this brush over here is the guy for that job. I have never used a concealer. Until recently, that is. Other than the color correcting and concealer/ derma wheel that we used in the pro makeup course that I recently took, my only experience with concealer is care of this relatively new Nars creamy radiant concealer. It has a wand, so application is easy peasy. But the concealer step does not end with the wand -- I NEED a concealer buffer to blend the product. And this is where the concealer buffer comes in. Pretty handy, this little nifty brush. 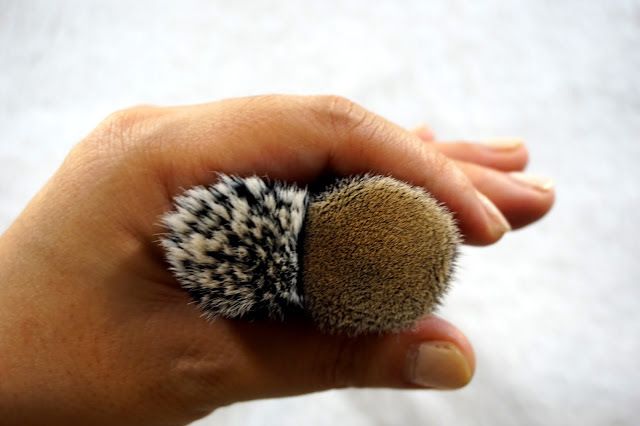 It is made of vegan bristles, and is unbelievably soft. Just the way I require any brush that touches my under eyes; rough and prickly brushes have no spot in those delicate areas, unless, ugh, you welcome some pre-mature wrinkles. This vegan brush is unbelievably soft. 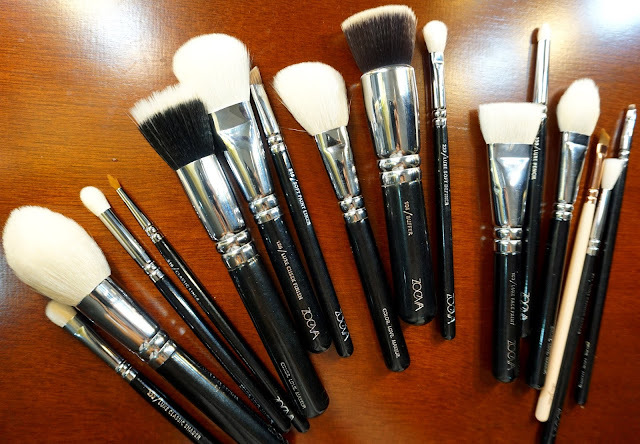 This brush is the queen of Zoeva softness! When it was newer, I never seemed to stop running it all over my face. LOL. Think of soft cashmere and fur, that's the kind of softness it boasts. I love it's unique tapered shape, which (according to reviews I've read) makes it good for highlighting, bronzing, and contouring, as they say. It's dense yet a little bit fluffy. 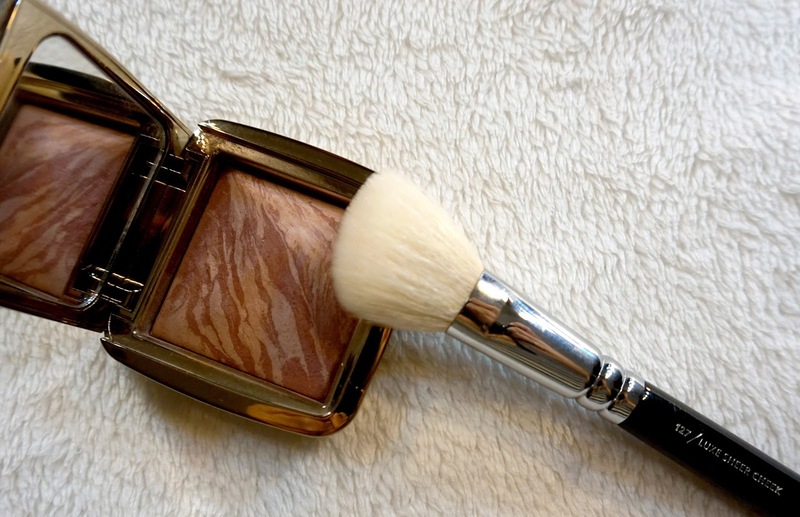 Personally, this brush' sole purpose in my kit is for applying both loose and pressed finishing powder (or the more luminous Guerlain meteorite pearls, or some Hourglass ambient lighting powder) all over. It reaches all nooks and cranny, including the sides of my nose. 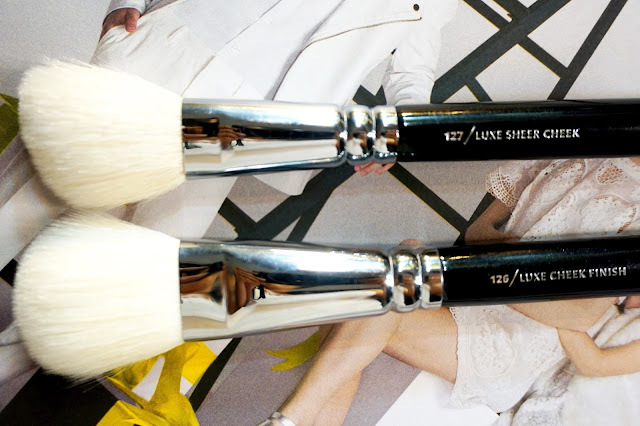 This incredibly soft brush is perfect for touch ups, too! Thank you so much for this post! I'm looking for some new brushes right now and I had my eyes on Zoeva ones for a while now. Definitely going to give them a try, love the look of the Buffer brush! Hi, thanks for the review. 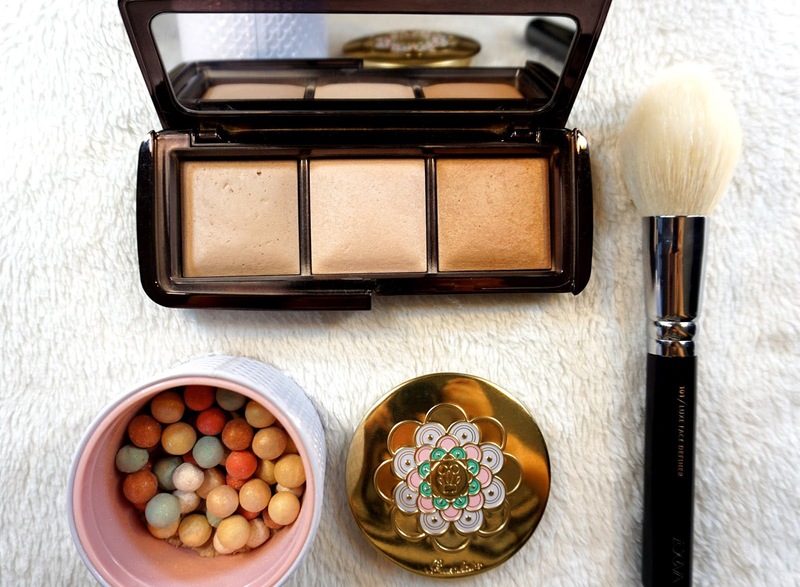 I purchased the buffer, the luxe sheer cheek and the luxe crease brush. I like the face brushes, but the crease brush is awfully scratchy! Scratchier than the MAC 217. Disappointed.